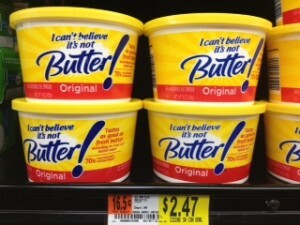 $1.22 for I Can't Believe It's Not Butter! Bring this coupon to Walmart to get a good deal on tubs or sticks of I Can't Believe It's Not Butter! Thanks for deal and photo, I Heart the Mart!